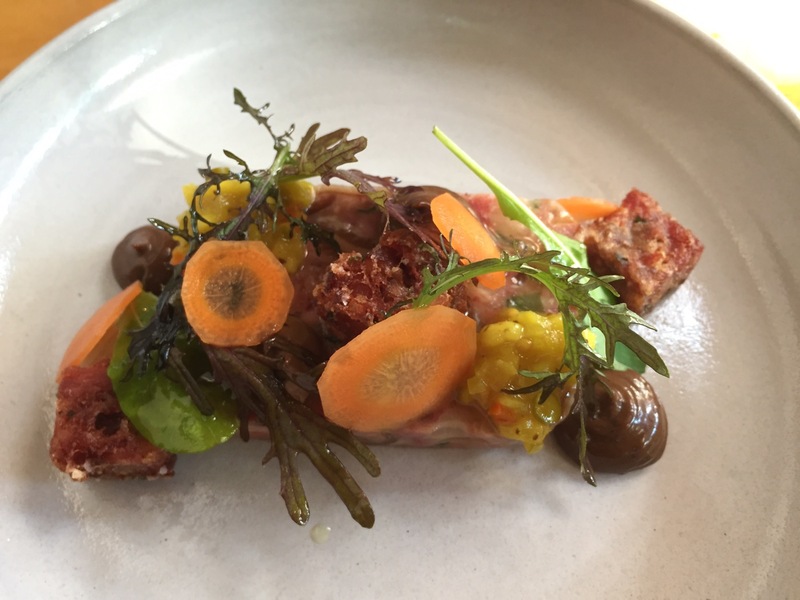 Toronto: The Black Hoof – Eat. Rest. Repeat. 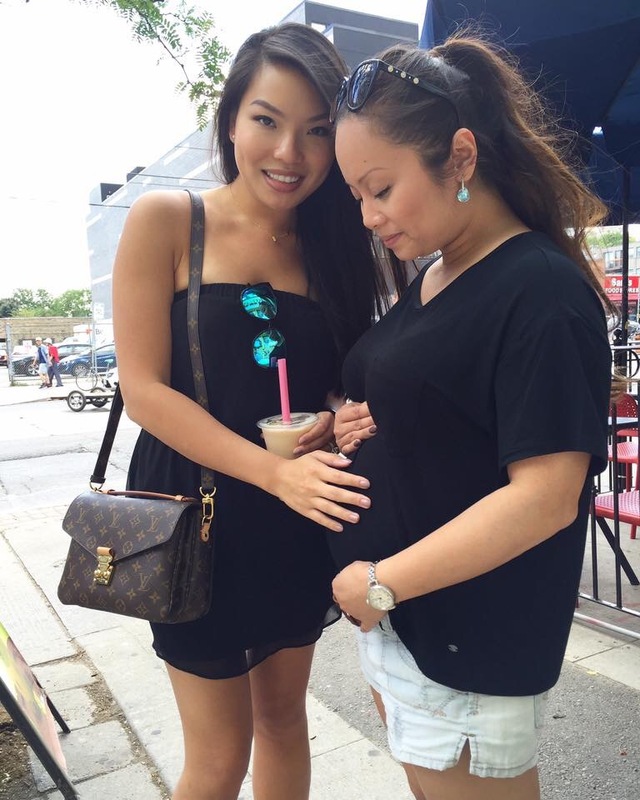 Back in July, my pregnant best friend, and our husbands decided to go to Toronto (Canada) for a quick weekend getaway. Yes, I know it’s nearly November and I’m suuuuuuper behind. We went to a handful of cool venues around Toronto….day drinking, sake tour (not my pregnant friend obviously), fresh oysters and seafood, hot chocolate, etc….but this was by far the most unique of all the places we went to. 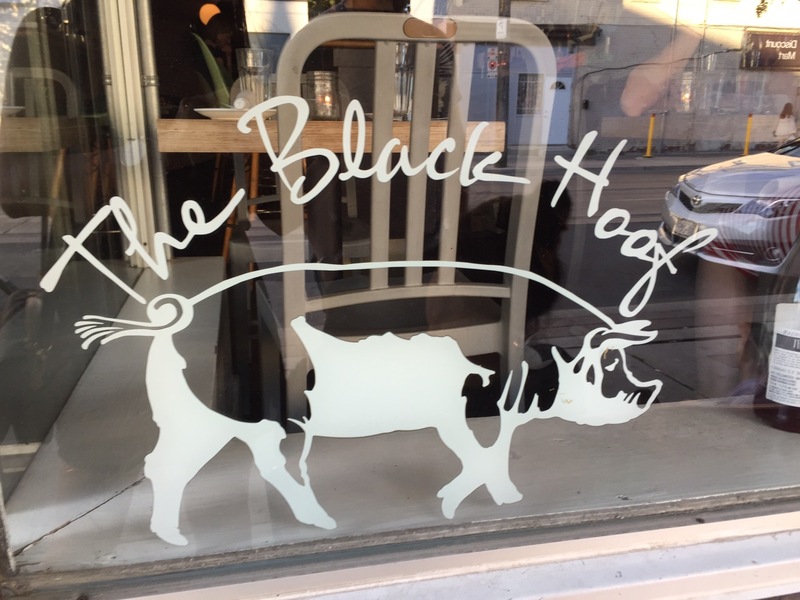 My best friend’s husband wanted to try horse meat and found this quaint little spot via google search: The Black Hoof. It was off the beaten path, in a randomly hipster area, that takes cash only, and no reservations. We went after a long day of drinking and massages, where it looked like my back had been thoroughly abused, by a tiny Asian lady nonetheless (in Chinatown). Sorry, completely sidetracked the point of this entry lol. Back to the topic at hand:the food. The restaurant had a very hip and urban feel to it, with the upstairs being an open patio that allowed you to enjoy the (then) summer breeze. The menu was written on the chalkboard wall adjacent to our table, and contained no specific details about any of the dishes. The menu was very simple and straightforward, while still leaving a bit of mystery as to the culinary specifications of each well thought out dish. I would say that these were small plates and you could easily order 5-6 dishes to share amongst friends for a satisfying meal. 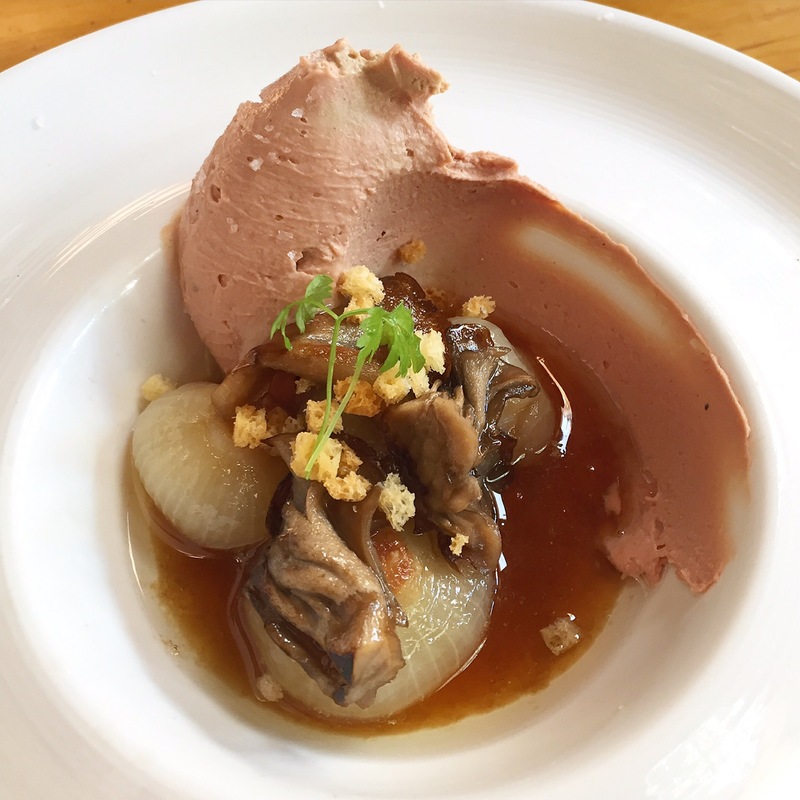 Modern spin on the classic liver and onions. Amazingly smooth liver smear with sweet onions in an incredible sweet and savory jus. Delicious. Yes, you read that correctly. We ate RAW HORSE. Crraaaaazzzyyyy. 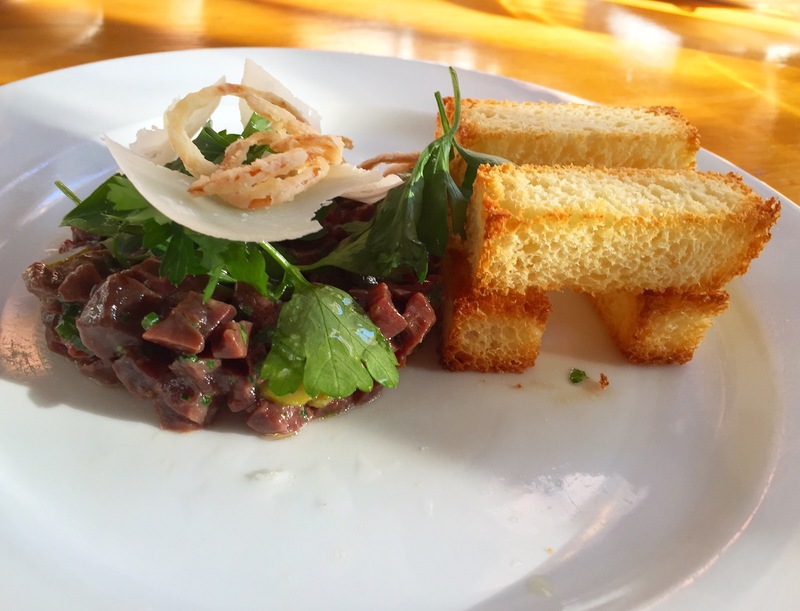 For those of you who have had steak tartare, I would make the comparison to having a similar taste to raw beef, but way more mild. Not gamey at all. The texture was slightly more crunchy, but in a slippery way….like how squid sushi is. 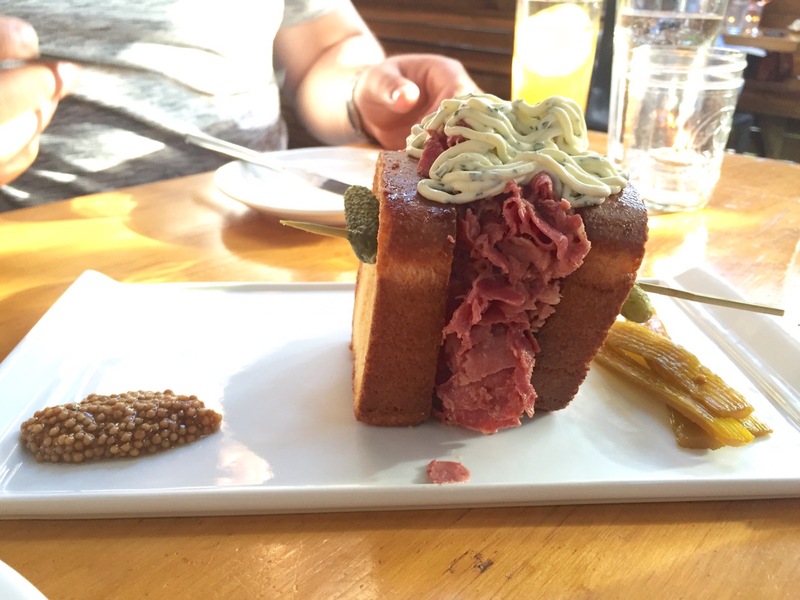 I am a sucker for terrine. This one was a little strange, as it seemed they had fried some of the pieces…which then in turn changed the taste and texture to something like fried spam. Still tastey and well prepared in both forms. This was definitely Asian inspired. 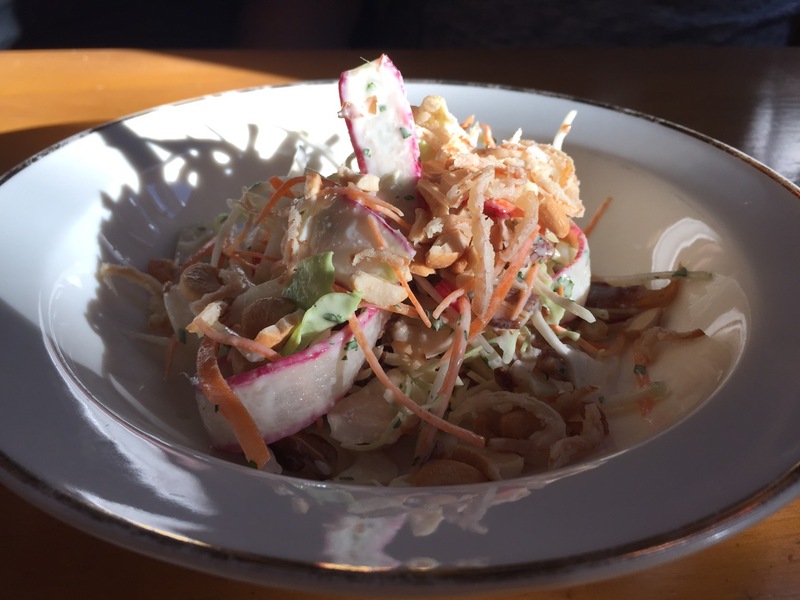 It had Japanese mayo and cilantro flavoring, with crunchy bits of the pigs ears and peanuts. The pigs ears didn’t seem like the star of the plate, but more of a finishing garnish, as if they could be replaced with fried wonton chips or tortillla strips. Not a bad side dish. I am not a fan of sweetbreads, but these were really well done! 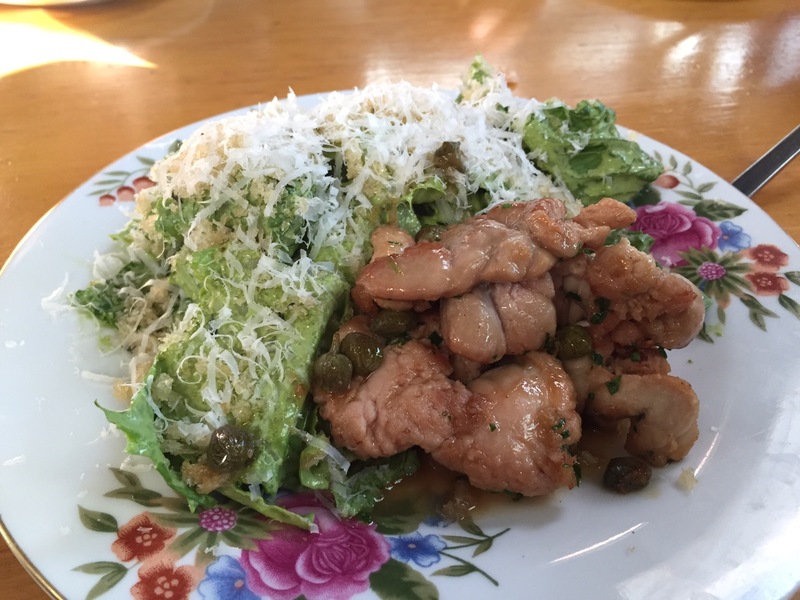 It was cooked like chicken piccata with a lemon caper sauce. Nicely marinated. Cow tongue cut and cooked like pastrami. This was out of this world! Probably the best cow tongue I’ve ever had….tasted like fresh sliced pastrami from the best New York deli, but a thousand times more tender. You could fool me into eating anything if it was prepared like this! 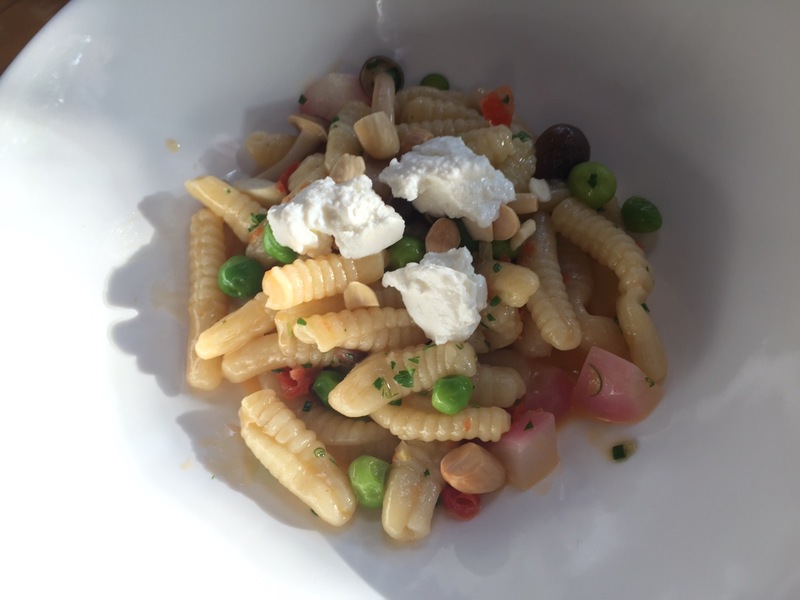 Cavatelli is my favorite type of pasta and is ridiculously hard to find served in restaurants (from my experience, at least), so you can imagine my excitement when I found this on the menu! Very light and flavorful, with the perfect bite and squishiness. Overall, this place was a phenomenal culinary adventure that was reasonably priced. Although the dishes were very unique, every item had a familiar spin and was very well prepared.